From the Holy Land of 2,000 years ago the young master Yeshua (Jesus) journeys to ancient Britannia with its unsuspected powers and uncharted areas of magic, mystery and splendor. Accompanied by his uncle, Joseph of Arimathea, who is ever in search of sacred treasures stolen from or secreted away by the Israelites themselves, they encounter a cast of intriguing characters who are aligned with or pit themselves against the dark forces conspiring against the Light. 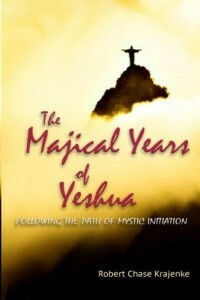 It is here that young Yeshua (Jesus) meets the greatest challenges of his earthly life through a series of initiations that pose dire threats to the very heart, mind and spirit of his existence and to the soul of humanity, caught for so long in the web of earthly enchantments.